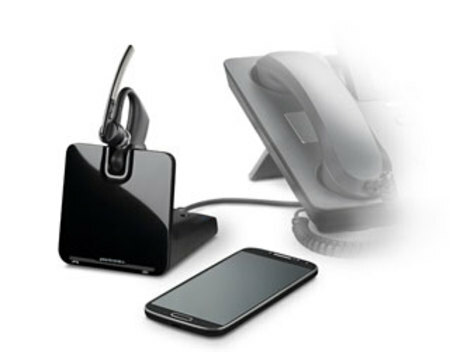 This Voyager Legend CS bluetooth headset system enables you to enjoy intuitive call management and outstanding audio both from your mobile phone on the road and your desk phone in the office. You work in the office, on the drive home, even at home. 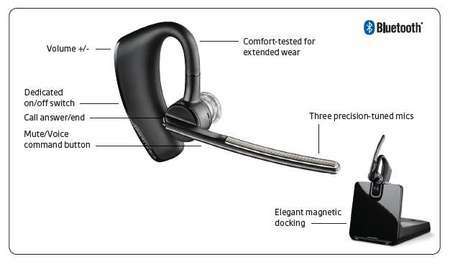 For your flexible work style, the Voyager Legend CS was designed to move with you throughout your day. Its intuitive smart sensor technology lets you answer calls simply by placing it on your ear, and you can always count on crystal clear audio with noise canceling technology that blocks out nearby voices, car horns, even wind. Connect to your desk phone. Connect to your mobile. Work better on both.